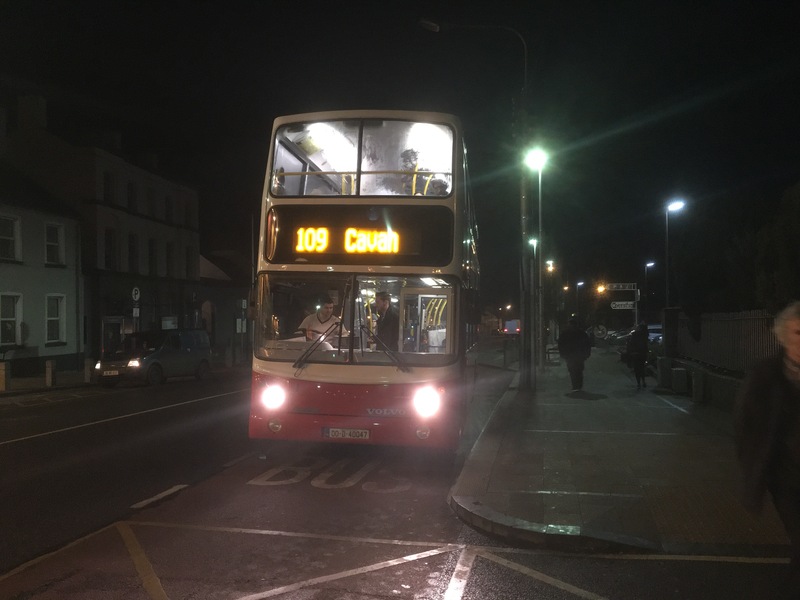 Bus Eireann’s 109 service from Dublin to Kells and Cavan is one of the most frequent and heavily used long distance commuter run, with departures every 15 mins in peak and every 30 mins all day. It uses a wide variety of vehicles – a core allocation of high spec 83 seat double-deck coaches (LD class) supplemented by single-deck coaches, and some hire-ins from private operators. Almost anything can turn up at peak hours, and this week has seen an interesting hire-in from Ronnie Bruen of Dublin, in the form of a newly imported secondhand Volvo B7TL / ALX400 formerly of Arriva South London, and still wearing London colours and logos, complete with a full set of TFL interior notices! This bus has worked the 6pm motorway express to Cavan at least two nights this week – at 120km / 70 miles a pretty long journey for a bus more recently used to working the 176 between Penge and Tottenham Court Road. Former VLA26 ( LJ53BCZ now 03D121448) is seen here at Kells, Co. Meath, about 2 hours into the 2h40m journey on Monday 21st Aug 2017. Note the rear display ! 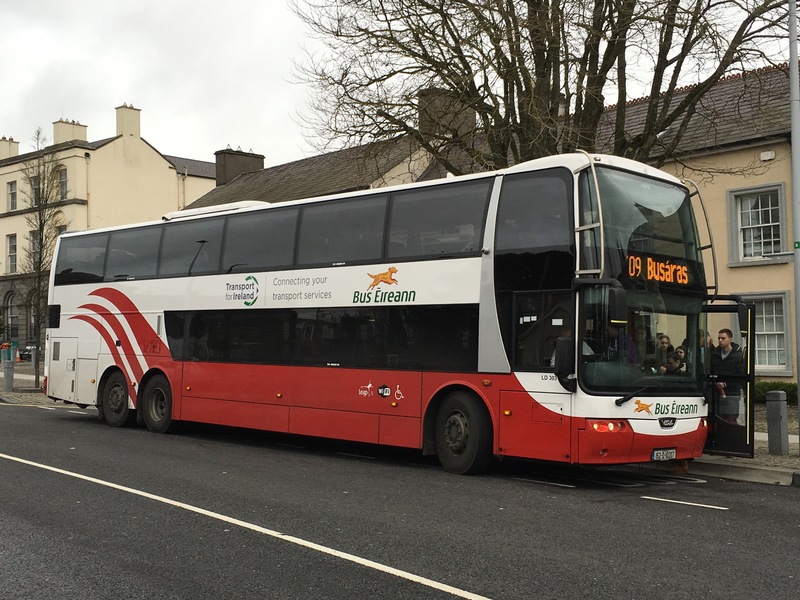 17 year old ex-Dublin Bus AV47, a year 2000 Volvo B7TL/Alexander ALX400 worked the 1800 Bus Éireann 109 service from Wilton Terrace (Dublin) to Cavan today, hired in from a private operator to cover for unavailability of a regular vehicle or driver. 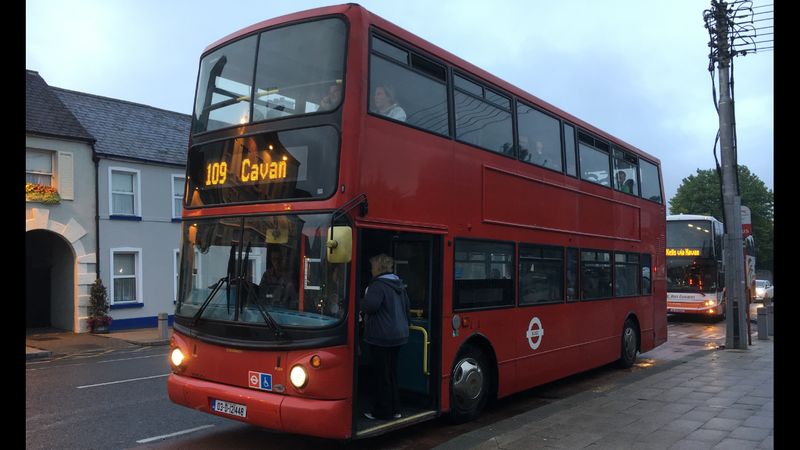 While ex DB deckers occasionally show up on the shorter BE commuter services, the 100km to Cavan represents quite a journey for an essentially city spec decker. It is seen here at Kells, Co. Meath. 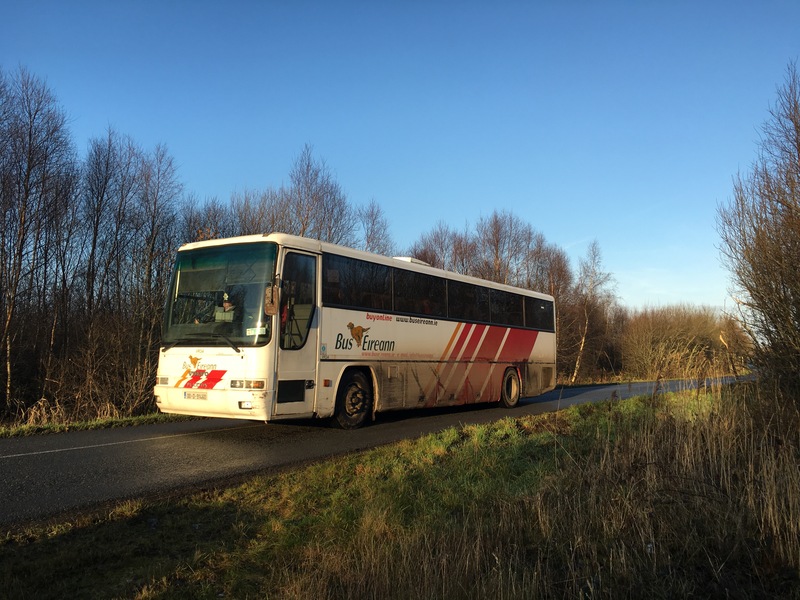 Bus Eireann’s once a week services in rural areas can often be a great place to find older vehicles still in service, as they are frequently interworked with school services using buses or coaches long since retired from frontline service. The VR class (Volvo B7R Plaxton) entered service in 2000 on commuter routes, but have since been replaced on these duties by larger or newer coaches, and can now be found dotted around the country on school work. Here VR34 is seen operating in normal service on route 447, which links Finea to Mullingar through rural Westmeath. 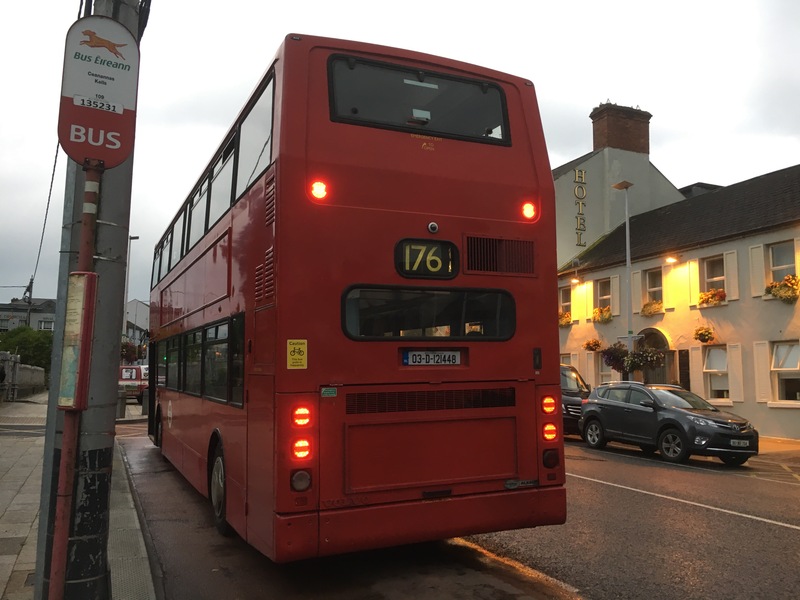 The service operates on Thursdays only, and uses buses from the Longford school fleet – SI 59 has also been seen on this service in recent weeks. The location of the photo is on the R394 about halfway between Finea and Castlepollard. 1015am on Thursday 29th December 2016. The oldest bus in regular service with Dublin Bus AV26 is one of only two of the 185 Volvo B7TL/ALX400 bought in 2000 still in service. With 110 new Volvo deckers currently being delivered its days in service are numbered. AV26 is seen at Parkgate Street working an evening extra on Route 66 on June 14th 2016. 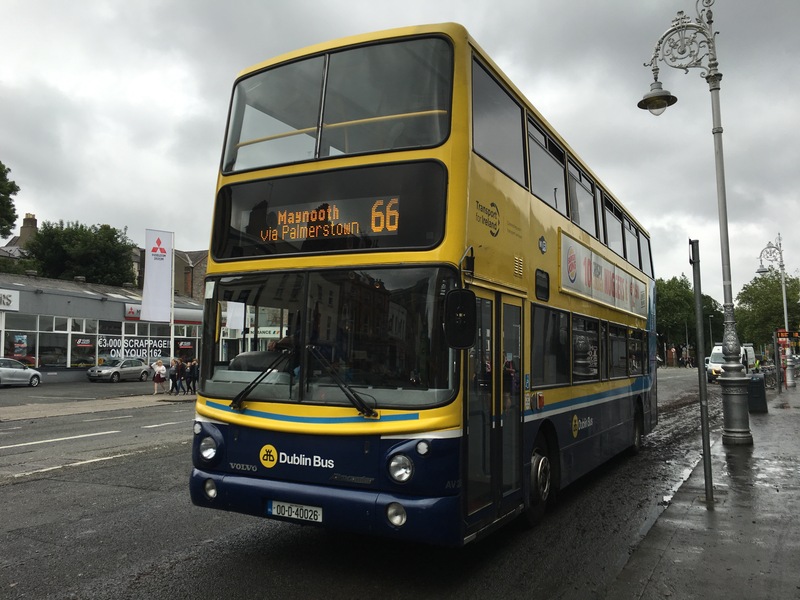 A small number of 00-reg AVs from the first batch of Volvo/ALX400 delivered to Dublin Bus remain in service in 2016. 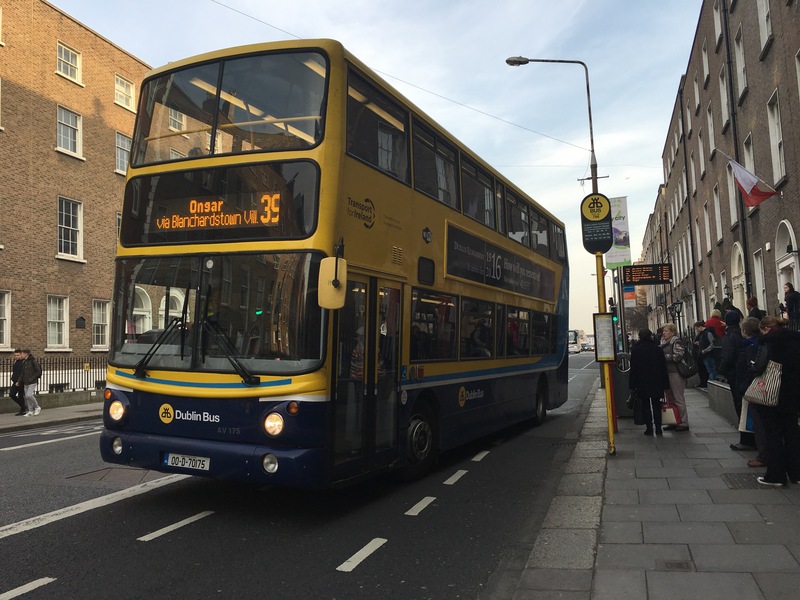 AV175 in seen on the 39 at Leeson Street in the evening peak today. 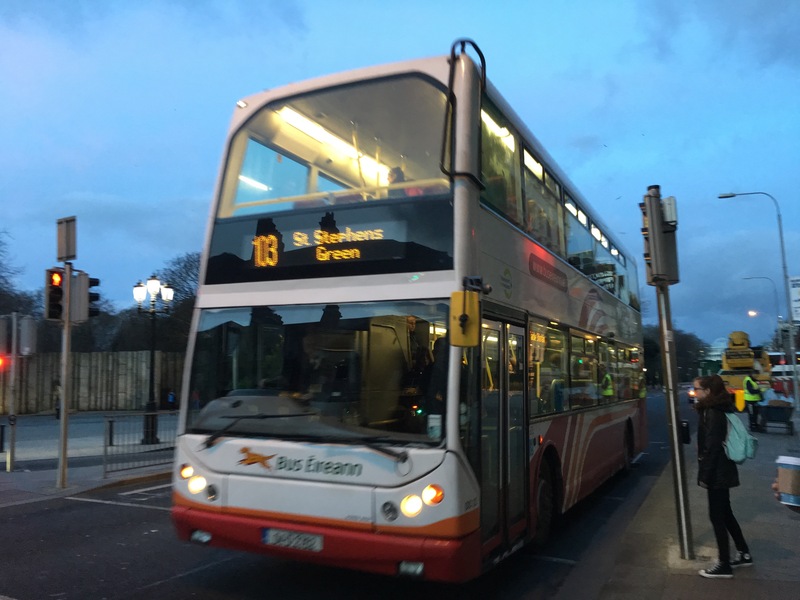 Bus Eireann route 103 sees a great variety of vehicles, mostly double-deck. The oldest are these East Lancs Volvo B7TLs dating from 2004.